On Wednesday, May 30, fire broke out within Daniels Spectrum. The building suffered limited fire and smoke damage. Portions of the first and second floors experienced water damage from the activation of the building’s sprinkler system. Local fire and police departments are investigating the incident, and have confirmed they suspect arson as the cause. This is a challenging situation for Artscape as the building operator, and for the non-profit organizations located within the facility and the artists, community members and partners engaged with Daniels Spectrum. The building remains closed to the public since May 30 due to ongoing recovery work, and Daniels Spectrum tenants are working together to make arrangements for impacted events and programs. 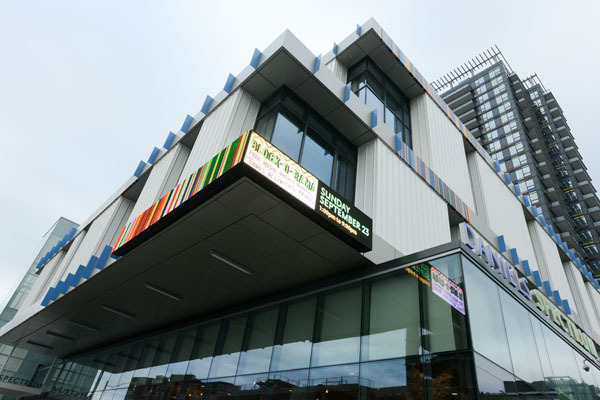 Repairs are required to return many spaces within the building to safe and operable condition, including Ada Slaight Hall, the performance and event venue operated as a social enterprise by Artscape, Native Earth’s Aki Studio and Regent Park School of Music. Some spaces re-opened on June 3 to provide limited access to staff, some tenant organizations and Centre for Social Innovation members and visitors. The re-opening of the building will occur in phases as remediation work to floors, walls, building services and technical equipment is completed. A re-opening of Ada Slaight Hall is anticipated at the start of July. Artscape will be providing updates on its social media channels and website about how the community can support the re-opening.